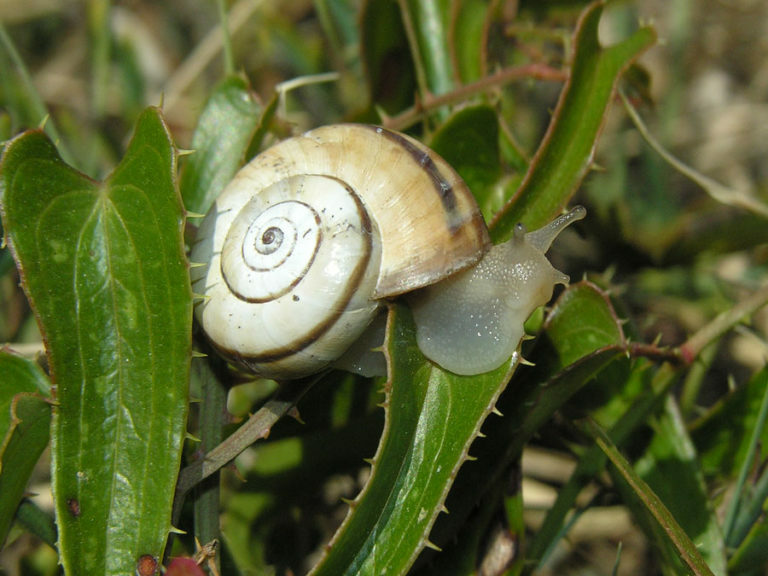 A pioneering project for the conservation of two species of endemic snails in Tuscany. In the animal kingdom, the phylum of molluscs is the second in size, after that of the arthropods, with about 100,000 species from fossil (40,000) and living (60,000) varieties. Snails are part of the group of lunged gastropods, that is terrestrial molluscs, which do not have gills, but a lung structure that has allowed them to colonize air environments. As well as many other animal and plant species, snails have also been overwhelmed by the consequences of human actions. The causes of the threat are many: the use of harmful pesticides, rampant urbanization, regimentation of river banks, uncontrolled water extraction or introduction of alien species are all factors that together have caused the gradual destruction of habitats. In some cases, natural disasters, climate change and taking for collection purposes have exacerbated the overall picture even more. Friend of the Earth, with the cooperation of the “La Specola” Florence University Natural History Museum, has activated a three-year research project for the study, protection and conservation of two species of molluscs endemic to Tuscany that are endangered and at serious risk of extinction: The Melanopsis etrusca and the Xerosecta giustii. 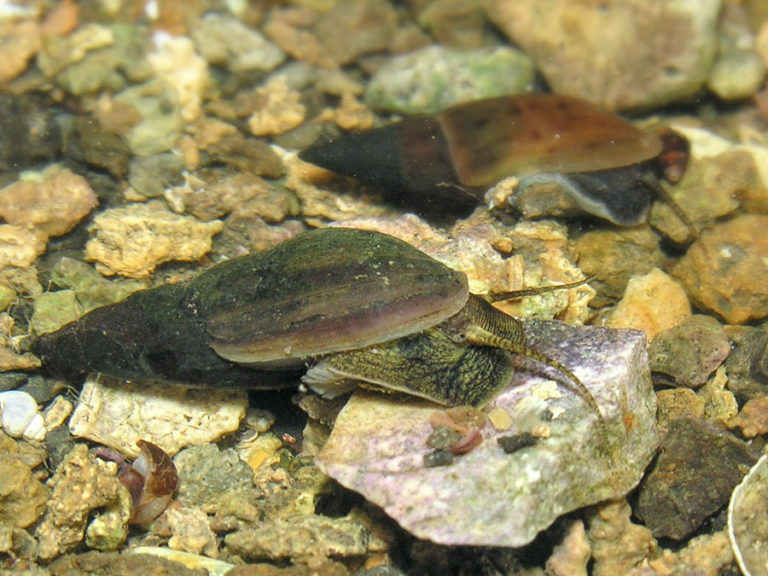 The Melanopsis etrusca (Brot, 1862) is a freshwater gastropod of small to medium size (about 12mm in length) whose distribution is linked only to springs of thermo-mineral waters in the Tuscan Maremma; there are still unknown details about the lifecycle, such as type of reproduction. Due indeed to the peculiarity of its habitat and the contraction of the distribution area, this species is protected on a regional level and is classified as “Endangered” by the International Union for Conservation of Nature (IUCN), although it’s also protected by a specific norm enacted by the Tuscan Regional administration and is indicated as a target species in the regional action plans. Xerosecta giustii (Manganelli & Favilli, 1996) is a medium-sized terrestrial pulmonate, linked to the scrublands in a small strip of the Metallifera hills. The species is limited to a very small area and can thus be considered very rare. It is for these reasons that Xerosecta giustii is included on the Red List of the International Union for Conservation of Nature (IUCN) lists as “Critically Endangered“. 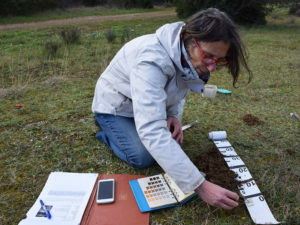 The project operates on several fronts; on the one hand the improvement of the natural sites and on the other the breeding of the ex situ species, for the release of the specimens bred into nature. The first stages involve the genetic study of the natural populations and the development of the breeding techniques of both species. 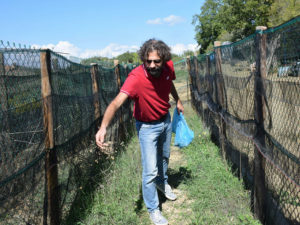 Two separate farms were set up: one for the M. Etrusca at the Mondo Marino Aquarium in Massa Marittima (Grosseto) and one for the X. Giustii at the snail farming company “The Maremma snail” in Campagnatico (Grosseto). Both sites have been designed to recreate the natural habitats of the species, ideal for their reproduction. 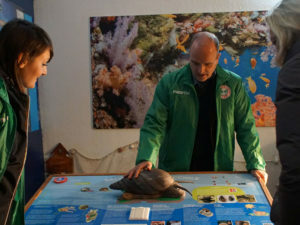 The project also includes outreach and educational activities to make the public aware of the importance of biodiversity protection. Save the snails of Italy is an innovative project not only from a scientific point of view, but also because it involves at the same time the academic world, public administrations – Campiglia Marittima, Massa Marittima and Grosseto councils – and private individuals. In addition to the Museum, Friend of the Earth availed itself of the scientific support of international experts from the University of Rennes (France) and Canada. Tuscany is not the only region in Italy to host species of endangered snails. According to the data contained in the red lists of the World Union for the Conservation of Nature (IUCN), it is known that there are a few dozen species of gastropods, better known as snails, at risk (Endangered) and at serious risk of extinction (Critically Endangered), scattered throughout the Italian territory. Help us conserve the environment! Donate and contribute to preserving our biodiversity too.